Ball Of Muscle has upstaged a trio of contenders for the $13 million Everest in winning The Shorts. Joe Pride is only half joking when he says Ball Of Muscle should be considered for the last slot in The Everest. After running second in The Shorts (1100m) for three years in a row, the eight-year-old has run his rivals off their feet to claim Saturday’s feature sprint at Randwick. Admittedly he had a couple of things in his favour, the first the absence of last year’s Everest winner Redzel who was scratched on race morning with muscle soreness. The Shorts favourite, Everest contender Invincible Star ($2.70) then missed the start giving Ball Of Muscle ($5) an uncontested lead. Glyn Schofield had Ball Of Muscle in his comfort zone and the eight-year-old maintained his momentum to hold off the fast-finishing Invincible Star by a half head. “He’s racing in career-best form and he would give a great sight,” Pride said. “I haven’t had any contact about The Everest but who knows. Ball Of Muscle, winner of the Group Three Heath at Caulfield two weeks ago, is a sibling to Group One winners Terravista and Tiger Tees. “Terravista won a Group One race at eight,” Pride said. Terravista also won The Shorts in 2014. “Ball Of Muscle is a horse who makes his own luck,” Pride said. Last year’s Everest third placegetter, Brave Smash ($4.40) found himself behind horses and ran on well to finish third, three-quarters of a length behind Invincible Star. Another contender for the $13 million Everest on October 13, English finished fifth after being re-shod before the start. 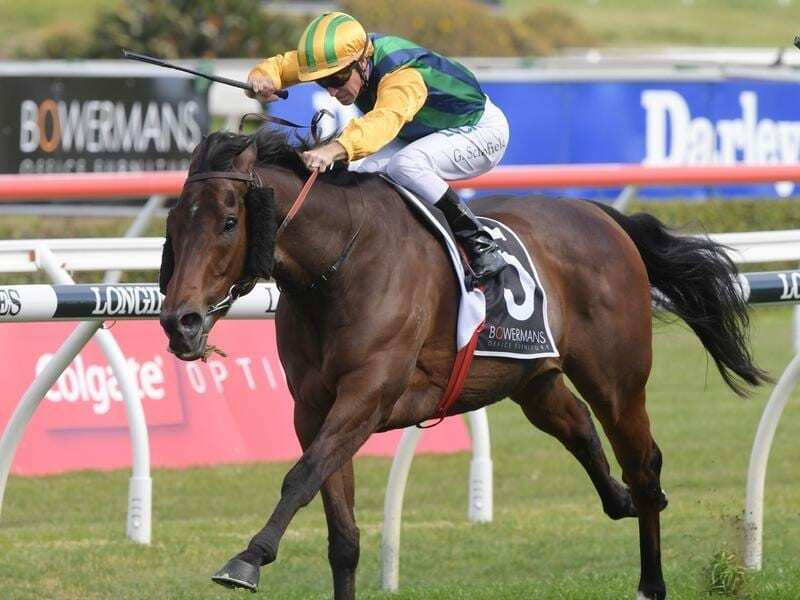 Ball Of Muscle will next race in the Group One Moir Stakes (1000m) at Moonee Valley on September 28 when he will clash with Nature Strip who has secured the Australian Turf Club’s slot in The Everest.